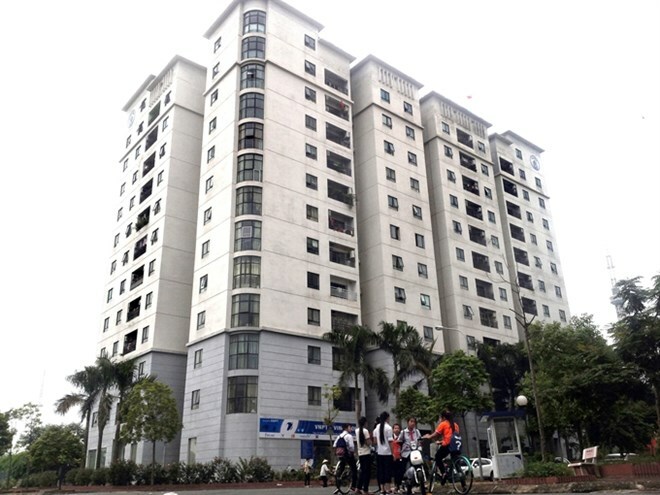 Hanoi (VNA) - The Ministry of Construction has asked the State Bank of Vietnam (SBV) to extend the terms of the government’s 30 trillion VND (1.3 billion USD) property support package after many homebuyers expressed concern about the end of the package on June 1 this year in accordance with previous policies. In a recent dispatch sent to the SBV, the ministry said the extension is needed to assure consistency and stability in the implementation of housing assistance policies. The package was launched on June 1, 2013, and the SBV announced in Circular No 11/2013/TT-NHNN that the programme would be completed 36 months from the mentioned date. The package has been disbursed to assist low-income homebuyers and prop up an ailing realty market that faced very high inventories. The annual preferential interest rate for loans in this programme was lowered to 5 percent during the last three years, after it was initially set at 6 percent. Homebuyers fear that once the support package ends, the interest rates might rise to match current market rates, which will at least double the preferential level and hit them financially. The problem is that homebuyers were not told about such a change in interest rates when they decided to buy properties. They only learnt about this recently through media reports, with some customers expressing panic during the last two weeks. Nguyen Van Truong, a homebuyer in Hanoi’s North Tu Liem District, said that in the past he was so happy with the support package that he did not notice the related regulations. “Furthermore, we were not fully advised [by home sellers and banks]. If my family had known in advance that interest rates would be adjusted to match market levels after June 1, 2016, we would have had other considerations,” he told the Vietnam News Agency . “Commercial rates presently ranging between 11 percent and 12 percent per year will put extreme pressure on buyers,” he said. Deputy Minister of Construction Pham Hong Ha said interest rates being changed when the terms of the support programme ends is suitable for current laws on credit, but with the 30 trillion VND package nearing it full implementation, the SBV should consider removing the deadline of June 1. According to the ministry, 98 percent of the package, or some 29.5 trillion VND, has been committed to households and individuals who sought loans for construction, purchases and repairs. More than 20.3 trillion VND, or nearly 70 percent of the package, has been disbursed for these purposes. The ministry said that with such progress, the disbursement ratio may reach 85 percent as of June before a possibility of full completion by the end of this year. Also, the ministry said the continuation of the support programme will be in line with the moves of relevant ministries, sectors and the SBV, which are promptly mulling the launch of regular funds for social housing development, in accordance with the Housing Law and government directives. The HCM City Real Estate Association Chairman Le Hoang Chau said the continuation is possible because the terms of the programme were only set by the SBV, based on its calculations in implementing the Government’s Resolution No 02/NQ-CP, issued on January 1, 2013 to direct support for production and business activities and the market. The resolution does not stipulate specific terms for the programme. Vietnam Real Estate Association General Secretary Tran Ngoc Quang said lengthening the time for implementation of the package and maintaining the current preferential interest rate will also ensure the interests of property developers, many of whom reportedly need continuing loan disbursement for their unfinished projects. The government enables buyers of social houses and commercial property priced less than 1.05 billion VND (46,700 USD) to seek funding from the programme. According to the ministry and the SBV, nearly 45,000 households and individuals have benefitted from the programme. About 30 percent of them are social beneficiaries and 70 percent are commercial ones.